Forty. Thirty. Twenty. Stop. Nothing but tail lights and short tempers three lanes deep. Two hours later the cause of the slow-down appeared. A semi’s trailer looked like a piece of burnt toast sitting on the shoulder of the highway. Cars creeped by the black hulk but then, as if by magic, they accelerated to full speed, and the traffic jam became a memory. Looky Lou’s were the cause. A 45-minute drive was turned into two hours because of all the people that slowed down in order to gape at the burned trailer. The slow down, miles ahead, telegraphed to the cars in the rear that were only about to begin the trip over Pacheco Pass into the San Joaquin Valley. 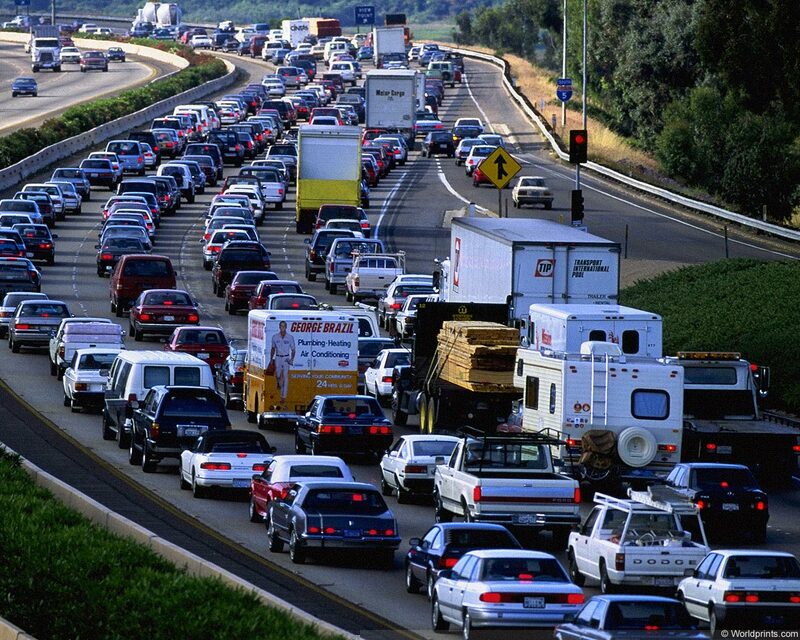 Traffic jams resemble other human behaviors in which one action becomes hundreds, even thousands, of similar behaviors. A Connecticut Starbucks had over 1000 consecutive drive-through customers each pay for the car behind them. It started because of a ripple caused by the first car creating a random act of kindness. Panera Bread has experimented with a pay-what-you-can menu in order to give poor and homeless customers a nutritious meal that they can afford. Panera wanted to know if such a venture could survive financially, and generally speaking, it has been a success. Panera continues to tweak this good idea that inspires people to be generous. Bad behavior also radiates through our world. Like when a person tosses a bag of trash on the roadside of a rural highway. The one bag soon becomes a dumped mattress and a bunch of bald tires. Or a student bullies another who is gay or female or physically challenged or otherwise different. One bully is bad enough but others are often “inspired” to join the awfulness. Everything ripples through our world. Everything – good and bad. A smile can make a person’s day and empower others to do the same. But so can a frown or a critical comment. It’s like tapping the brakes while driving by a wreck. Sooner or later some poor slob 3 miles behind will have to slow down because you did.